To keep the roof on your home strong, you need to make sure you have a great roof ventilation system in place. It will keep the air under your roof circulating and prevent it from having a profound effect on your roof. If the air in your attic space is too warm, it can wreak havoc on your roof and cause problems. There are several benefits you will enjoy with proper roof ventilation. Take a look at them below. 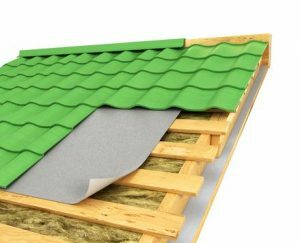 It will extend the lifespan of your roof. If you have poor roof ventilation, there is a good chance you will be forced to deal with ice damming in the winter. It occurs when the warm air in your attic space causes snow on your roof to melt before it refreezes once it reaches the lower levels of your roof. Ice dams can cause wear and tear on your roof and force you to replace it sooner than you were expecting. By ventilating your roof properly, you can avoid ice damming and extend the life of your roof significantly. When your roof isn’t ventilated properly, hot air will build up in your attic space in the summertime and stay there. That will force your air conditioner to have to work harder to keep your home cool, and it will drive your energy bills up in the process. When your roof is ventilated, the hot air will be able to escape, and your home won’t be as warm as it would be with poor ventilation. It will keep the temperature inside your home consistent. Those with poor roof ventilation will often notice that the upper levels of their homes will be warmer than the lower ones. While there can be many reasons for this, it’s more often than not a result of hot air building up in the attic due to ventilation issues. You will almost have to make your downstairs level ice cold to keep the upper one bearable. This will make it so that you can’t enjoy certain parts of your home throughout the year. If you’re having issues with your roof ventilation, Roofing by Bruce is here to help. Contact us at 570-424-8891 today to see how improving your roof ventilation can benefit your home.